The new Bal Harbor Institute staff and Rescue Team unite to stop the illegal capture and theft of a rare dolphin. An attack by pirates starts a headlong treasure hunt. A stranger makes two attempts on the life of an itinerant blues musician. Jessica Alba's Honest Company Hits $1 Billion Valuation: Find Out Her Net Worth! Jackie: I hate bubbles! I hate bubblebath and bubblegum and bubble everything! 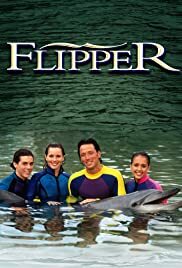 The first season of flipper follows Keith Ricks, the grown up version of Bud Ricks from the 1960s series, his fellow marine research Pam Blondell, her son Mike and his friend Maya. The plot was fairly interesting and there was definitely room for it to grow into a compelling program, and you can watch it without the acting making you cringe so thats always a plus. The second season of flipper all of the characters from the first season are scrapped (except for Maya) and the series begins to follow Dr Jennifer Dalton who takes the place of Keith Ricks, her interns Holly and Dean, her father Cap, and two deputies, Quinn and Tom, from the local search and rescue station. In this season the plots become a bit more ridiculous and hard to fathom, and the acting is mediocre at best. The third season gets rid of the cast of season two, except for Tom, Cap, and Holly so at this point its really hard to follow except in addition to being hard to believe so I just stopped watching. 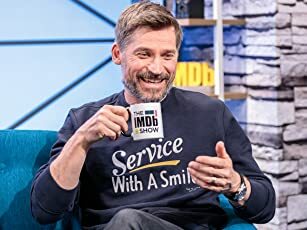 Im not sure who you would keep making a show try to work if you were just going to try to make the viewers get used to a new cast every season, they have a hard enough time accepting one character change. all of the seasons are posted on hulu, if you are going to watch it i'd recommend only watching the first season, if you try to watch any others you will only find them disappointing.